Ken Burns taught America that film developed from primary sources and powerful narrative addressing critical questions about the past creates a riveting learning experience for viewers. Public Broadcasting and The History Channel have used this new history storytelling successfully in the last decade. Classrooms throughout America have used these new resources as a way to motivate students and build background knowledge. Now it is time for educators and students to create their own video resources tailored specifically to curriculum standards and allotted instructional time. They will find that the process of doing so is exciting and memorable. Teachers who have participated in the Documentary strand of History Day are well ahead of the rest of us in creating exciting short media. But new digital tools that are now available free or at minimal cost on the Internet along with the software packages that come on many computers have made creating documentaries a exciting option for teachers and students. The One Nation: Many Faiths – How Ideas of Religious Liberty Have Shaped America Teaching American History project is using Digital Documentaries as a tool for teachers and students to explore the impact of religion in their communities. Just as Teaching with Historic Places from the National Park Service has shown that historic sites have provocative and powerful stories to tell, teachers are finding that religious sites have compelling histories that give insights into America’s pluralistic culture and values. Religious communities served as a tie for new immigrants to their cultural roots and languages as they found their niche in the U.S. economy and society. Some, such as the Puritans and the Latter Day Saints, contributed to American settlement patterns. Religious institutions and churches were often centers of social reform movements such as abolition, civil rights, the temperance movement, women’s suffrage, and prison reform. Until recently, the role of religious organizations as significant contributors to social progress and civil society has largely been ignored in the mainstream historical narrative. A great way to bring this religious history in our local communities to life is through the creation of digital documentaries. Not only are they useful in the classroom, but teachers and students post them to share with others. 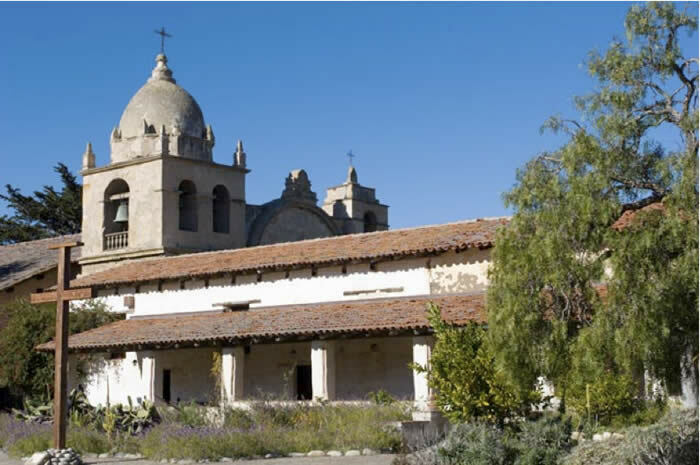 How has this religious site (faith group) influenced the history and culture of this California community? Because this project involves creating materials for the classroom on a religious theme, it is important that teachers and students who are working on this activity have a solid grounding in how the First Amendment religion clauses of the Bill of Rights apply in the public school classroom. Before taking the next step, review the PowerPoint Religion and Public Schools developed by California 3Rs Project teacher leader Robyn Lee. For greater depth and to learn more information for responding to the Case Studies, teachers should read Finding Common Ground chapters 4-9. With this background in mind, proceed with developing your Digital Documentary on a site/faith group in your community following the steps below. All communities have a set of shared social practices, traditions, and culture. These practices are shaped by the beliefs, social networks and leaders in that community. These characteristics are always in flux, as new waves of immigrants arrive or as leaders of communities age or move away. Sometimes issues that result from such changes are not addressed by the broader civil society as a whole because people tend to view what is happening around them from the narrow perspective of their own experience. For example, no matter how many times we pass by a neighborhood, place or building to which we have no affiliation, we just don’t “see” it. If it’s not a place to which we go or if it doesn’t relate to people we know, it is off our mental radar. These same places may involve people and ideas that impact what happens in our community. This is especially true of religious sites. The first step in becoming more aware of “unseen” religious sites is to take a community inventory. Begin by doing an online or a phone book search for religious places in your county, region, or town. You will be surprised to find that several of the sites are likely to be on the National Register of Historic Places. If possible, find a friend to drive you on an “individual field trip” in your community, so that you have the freedom to focus on religious buildings and sites. Note the names of these sites and the religions they represent. These could be Christian Churches representing many denominations, Jewish synagogues, Buddhist temples, Islamic Centers, Hindu or Sikh Centers, community churches or meeting halls, etc. Look over your list and check the sites that represent religions about which you know little. Of those little known faiths, which two or three sites draw your attention because the building looks different or interesting, you know someone who worships there, you’ve read about the group in the newspaper, etc. Choose one religious site for your digital documentary from the few to which you have narrowed your focus. Do some background research on this faith group if it is apparent from the name or classification in your source material. Here is a bibliography/webliography of sources to get you started. The next step is to develop a plan for production. This usually involves a process to identify all your content, sources, and film shots to create a storyboard A storyboard is a step-by-step outline of what is to be included in a documentary. Often it is a graphic organizer showing each “frame” of the project, like a set of blank comic strip boxes. Click here for one to print for your project. Since religious freedom in America has led to rampant pluralism in most communities in California, using one storyboard structure for all documentaries wasn’t possible. Instead, One Nation: Many Faiths – How Ideas of Religious Liberty Shaped America, came up with a set of sequenced topics to include in a documentary. o How the historical context influenced or was influenced by the religious group. The Story Board Contents - Digital Documentary on World Religions in Our Communities with some examples and descriptions may be downloaded here. Depending on the faith group or specific religious site, some of these topics are more or less emphasized. For example, if the site is a mega church with a long history, there is likely a strong charismatic leader whose biography is important to understand and include in the documentary. If the church represents a small congregation from a denomination that has been active historically, such as the African Methodist Episcopal Church, it might be more important to focus on reasons for founding of the original AME Church and to determine to what degree that the local congregation has followed the tradition of serving as a religious, social and political center for the African American community in your local area. Some congregations of religious sites have changed ethnically and in social status in the community based on demographic changes in the community. The storyboard needs to be adapted to match the reality of the religious group under study in the documentary. 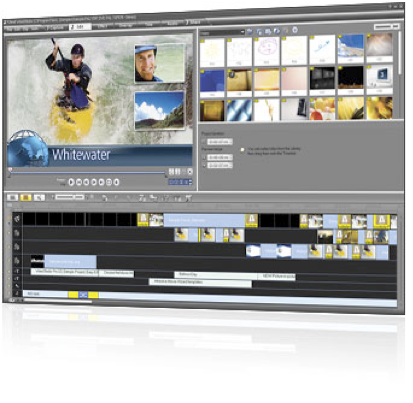 There are several free software programs for making video documentaries. 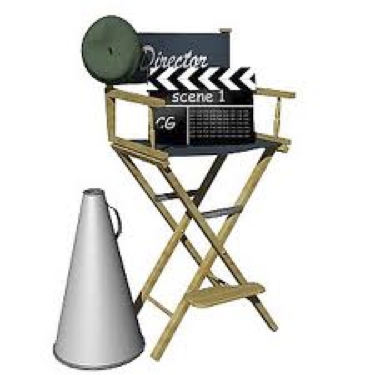 Though there are several more available, Microsoft Movie Maker for Windows users, and Apple iMovie for Mac users are probably the two easiest to use free video editing software programs available. Both of the products will allow you to do what you want to do with your videos. Desktop Video Guide and Videomaker provide not only links to download pages for these free video software programs but tutorials on creating informal video projects as well. PrimaryAccess: Creating Digital Documentaries in the Social Studies Classroom out of the University of Virginia enables you to combine text, audio and images into compelling personal narratives and digital stories, with a simple movie-making process. The images and video sources at the site are from the Library of Congress collection. Steps like scripting, recording and saving are entirely Web-based--no software to install--and the movies are easy to retrieve and share. There is a tutorial for these features on the site. VoiceThread, a collaborative, multimedia slide show that holds images, documents, and videos, allows people to navigate slides and leave comments in 5 ways - using voice (with a microphone or telephone), text, audio file, or video (via a webcam). Voice Thread documentaries may be shared with friends, students, and colleagues. Its special section for K-12 educators is an inexpensive alternative to the free products that has the advantage of providing a collaboration tool that allows students and teachers to work together in developing a documentary. VoiceThread allows users to import PowerPoints and Keynote presentations into their documentary.